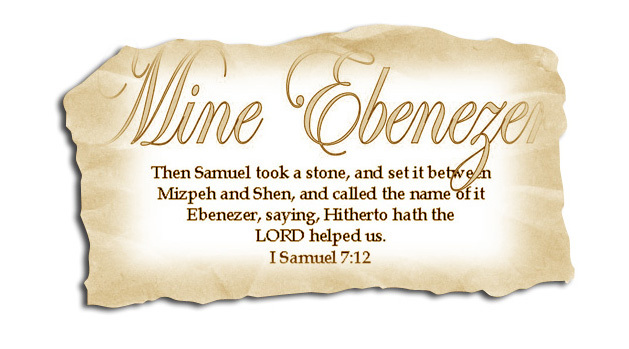 I have been really burden about the lack of King James scripture on Crafts and Home Decor items. 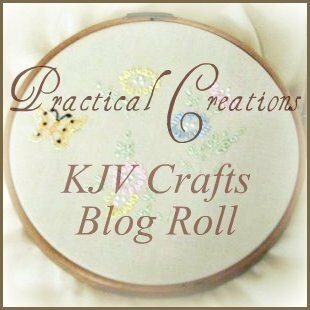 Due to this I decided to create a blog roll so people can easily find resources using the King James for scripture. For the Blog Roll you need to first see if you meet the criteria listed below in the Rules. Second use one of the graphics below and link to this post. Then email your blog link to me. I will review your blog and then add it to the Blog Roll list. You have your choice between two graphics that Christina from HsKubes’ has kindly created for me. 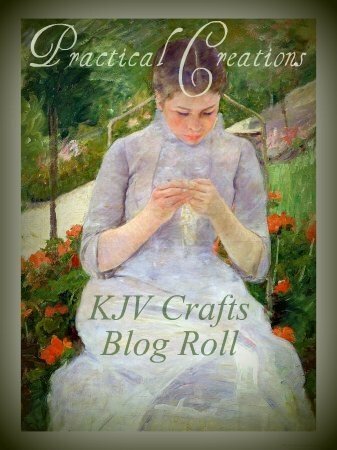 Your blog must consist of at least 80% craft post. All items do not have to contain scripture. However, all scripture used must be King James. You do not have to sale anything to be apart of the blog roll. Ideas and Inspiration and Free Stuff are always a blessing :o). All types of crafts are included: Stamping, Needlework, Wall Decor, Stencils, etc. I reserve the right to refuse or remove a link due to what I deem objectionable. I don’t for see this being a problem however, I need to take the precaution. If I feel changes to the rules are necessary, I will contact everyone about any changes. Etsy users: You may link to the blog roll as well. Just send me your etsy shop name along with your personnel blog. If all’s good then you will be added to the roll and you can link the blog roll from your personnel blog. If you only have an Etsy shop and no blog then send me the shop name. I’ll add you to the roll and you can either mention it in your shop news or add me as a favorite and I will do the same in return. If there is any confussion as to the in’s and out’s of the blog roll please feel free to email me. Thanks Elaine for putting me on your list. This is already so much fun!I can’t wait to glean ideas from others. Thanks for this list. Can you please change the white font to another color, though? It's so difficult to read. I have to put my eyes right next to the monitor. Blessings! Just stopping by from the KJV blogroll. You have really made some neat things! I love the Bible Covers…. we live in Canada, and you can't find one here(at least not out west).